"Contraction and release," said Martha Graham. She was describing the basis of her iconic modern dance style, but she may as well have been talking about all of contemporary dance. The relative newcomer to the ancient art of movement is as much at home on television as it is in black-box theaters; its pioneers unleashed a rebellion and new ways of using the body that continue to magnetize both dancers and audiences. There are so many influences on contemporary dance it can be hard to define. An examination of its history and development is the simplest route to an analysis and appreciation for the form. The brash Americans are mostly responsible for the revolution in classical dance that gave rise to a new art form: modern dance. Modern derived a lyrical sensibility and explosive lower body moves from classical ballet but worked from a more grounded, less vertical and lifted foundation. The earliest modernists were rebels who took inspiration from European dancers but developed a dance form uniquely their own. Isadora Duncan (1878 - 1927) rejected classical dance training entirely and centered her expressive choreography around emotion, Greek sculpture, poetry, philosophy, classical music, and an uninhibited freedom of movement, as well as bare feet and flowing costumes. Ruth St. Denis (1877 - 1968) incorporated Native American dance, oriental religions, and mysticism into her modern dances. She teamed up with Ted Shawn (1891 - 1972) to create Denishawn School in L.A., which trained titans of modern dance Lester Horton (1906 - 1953) and Martha Graham (1894 -1991), among others. Shawn went on to found Jacob's Pillow in Massachusetts, a performance venue and showplace for his muscular and athletic choreography that is still a revered center for professional dance training and the home of an acclaimed summer dance festival. 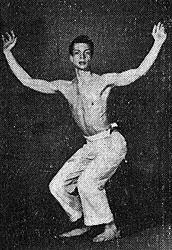 Jose Limon (1908 - 1972) derived his now-iconic technique from the work of Doris Humphrey (1895 - 1958), an alumnus of the Denishawn School. Humphrey based her dances on the ensemble, not the soloists, and used imbalance as the trigger for her movements. Limon was a globally celebrated dancer who fused his native Mexican heritage with movement that relied on "fall and rebound" and focused on counterpoints, the ideas of opposites and the intensity of the human experience. Graham, of course, is a name and a legend indelibly associated with a school and a style of modern dance, as is Lester Horton. Important contributions came in the second half of the 20th century from post-modernist Merce Cunningham (1919 - 2009) and Alvin Ailey (1931 - 1989). Ailey trained with Horton, Humphrey, Graham, and others and created his own enduring school, company, and style which brings Black experience and cultural heritage into contemporary dance. Today's contemporary dancer draws from this rich heritage of giants in the field and a wider range of global influences, to speak a world language without words. The experiments of modern masters are echoed in the movements, stylistic flourishes and mash-ups of many disciplines that enrich contemporary dance today. Graham, Cunningham and Horton are each worth noting for different reasons. 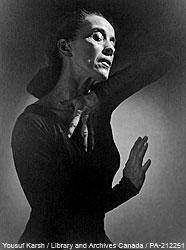 Martha Graham is often credited as the founding mother of contemporary and modern dance. As a dancer and choreographer for over seven decades, she brought modern dance into the mainstream. She was the first dancer ever invited to perform at the White House and receive a medal of freedom. Ironically, she hated the terms "modern" and "contemporary," as she believed dance styles were constantly evolving and changing according to the times. She didn't want her choreography or her ideals boxed in, and this has continued to be a running mindset among contemporary dance choreographers who have followed in her footsteps. Born in Washington in 1919, Merce Cunningham danced for Martha Graham's company until he formed his own company in 1953. He and his romantic partner, John Cage, created what is known in the contemporary dance world as "chance operations." It is based on the Chinese idea of casting your fortune on a hexagram. The number 64 in music, for example, allows a first cast for the first note, a second for the second, and so on until an entire song has been composed this way. Cunningham applied the same principle to dance, using a chance series of movements. He cherished this sporadic style of choreography, and it continues to exist in studios across the nation today. In his contribution to the modern version of contemporary dance, Cunningham was instrumental in its technological, 21st century origins. He helped develop a dance software program called Danceforms, which allows choreographers to create dances using a computer. Lester Horton was known for infusing elements of Native American dance and modern jazz into his contemporary dance routines. He went on to train some dance greats, including Alvin Ailey, and he founded the Dance Theater of Los Angeles. While his company is no longer together today, his technique and distinctly different style of choreography are still the pedagogy of choice in many conservatory schools and dance studios. These three dancers are among the most critical influences in the beginning of contemporary dance. However, none of them created a style out of whole cloth. Each was a trained dancer working from centuries of discipline and imagining those classic moves into something new. Ballerinas will quickly notice the strong influence of traditional ballet, and folk dancers will immediately recognize storytelling tendencies. Martha Graham's insistence that contemporary dance is always evolving to incorporate new music, new movement styles, and new philosophies encompasses the defining characteristic of contemporary dance. Each dancer's inspiration varies according to time and place, and to that indefinable inner voice, the music of the heart.